I’m Sacramento car accident lawyer Ed Smith. 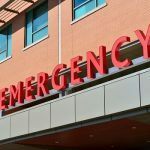 On April 21, a child was injured in a Sacramento parking lot when a motorist struck the girl while backing out of a parking space. The driver fled the scene, and the incident was reported by authorities as a possible felony hit and run. At this time, no further information about the nature of the child’s injuries has been published. The incident occurred at 11:56 a.m. on Bamford Drive, between Center Parkway and Franklin Boulevard. A woman and her niece were walking to their vehicle when a white Nissan Pathfinder backed out of a parking space and into the 10-year-old girl, according to a representative of the California Highway Patrol (CHP). Reportedly, the driver of the vehicle gave the woman a thumbs up sign before leaving. While most people think that hit and run accidents can only happen on the road, they are mistaken. Hit and run accidents can occur in parking lots too. Many times a fender bender occurs where there may be minor damage to a vehicle’s surface. Mainly because insurance rates can go up even with minor accidents, some drivers just leave after seeing the damage. Since parking lots today use video cameras, finding out who caused the damage is possible even in the absence of witnesses. What Is the Difference Between a Felony and Misdemeanor Hit and Run? In California, two types of charges can be brought against a driver who leaves the scene of an accident. One is a felony, and the other is a misdemeanor. The difference lies in whether someone was injured or if only property was damaged. Vehicle Code 20001 in California addresses injury to a person or their death. Depending on the seriousness of the injury, it can be tried as a either a misdemeanor or a felony. Penalties for this type of crime are steep and range from up to a year in jail to two to four years in prison with fines of $1,000 to $10,000. A driver is obligated to stop after an accident to render aid to an injured person and exchange information. If only property was damaged, the charge is a misdemeanor. This is outlined in California VC 20002. The driver who caused the accident is responsible for trying to find the person who owns the vehicle. If that is possible, the driver must provide that person with their contact information and their driver’s license and registration as well as the name of their insurance company. Alternately, if the owner of the vehicle is not found, the driver must leave pertinent information in a place that can easily be visualized such as under the windshield wiper. If the driver fails to do this, he or she may be charged with misdemeanor hit and run and ordered to serve a jail sentence of up to six months and pay a fine of up to $1,000. 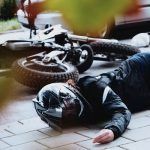 Are Injuries and Damages Covered by Insurance? If the individual whose vehicle was damaged has uninsured motorist coverage, it can be used to pay for damages. In the event, the car sustained only property damage, and the driver has left the scene, a vehicle owner can use their own collision insurance to pay for the damages if no uninsured motorist coverage is available. 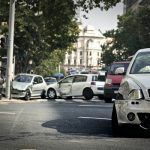 Since collision insurance is not mandatory in California, some individuals do not carry it either. If collision coverage is used, the car owner will need to pay the deductible. Medical care can be paid out of Medical Payments Coverage or Med-Pay. This optional insurance pays for medical care as well as funeral expenses regardless of who is at fault. A driver who needs to use their own insurance to pay for damage due to a hit and run accident usually will not see their premium increase. I’m Sacramento car accident lawyer Ed Smith. If you suffered an injury or if a member of your family died due to a hit and run driver, you would benefit from the help of a seasoned car accident lawyer. Call me at (916) 921-6400 or (800) 404-5400 for friendly and free advice. You can contact me online also. 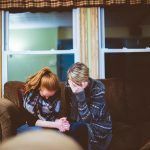 I’ve helped residents of Sacramento for more than 36 years in cases involving wrongful death and many different types of accidents. I’ve won cases for clients of 1 million dollars in verdicts or settlements. Due to this, I have been inducted into the Million Dollar Advocates.